Yes, it's January here in New York. The forecast calls for two days of snow approaching and I'm here thinking about winters elsewhere. Two hours away from the city I lived in, in Japan, there's a place called Nagano. From Niigata, you can see their mountains in the distance. Not bad waking up with mountains on one side and beach on the other. 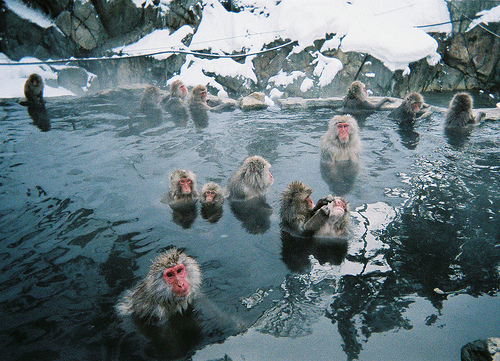 In the onsens of Nagano live their Snow Monkeys. Both frightening and beauitful at the same time. I vow that if in Japan during the winter again, I will be going to Nagano to witness this for myself. 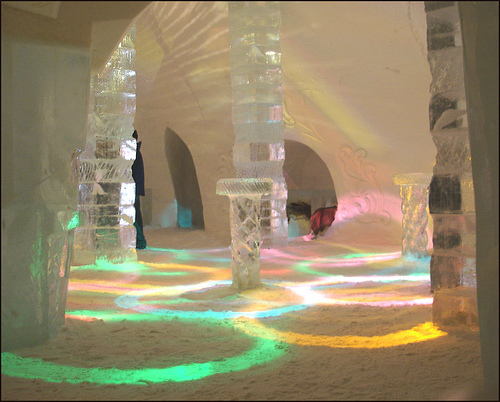 Then...thanks to #TNI on Twitter for two weeks people have been bringing up the Ice Hotel. I believe there is more than one but these photos are of the hotel in Quebec, Canada. Never had a reason to go to Canada...has that suddenly changed?